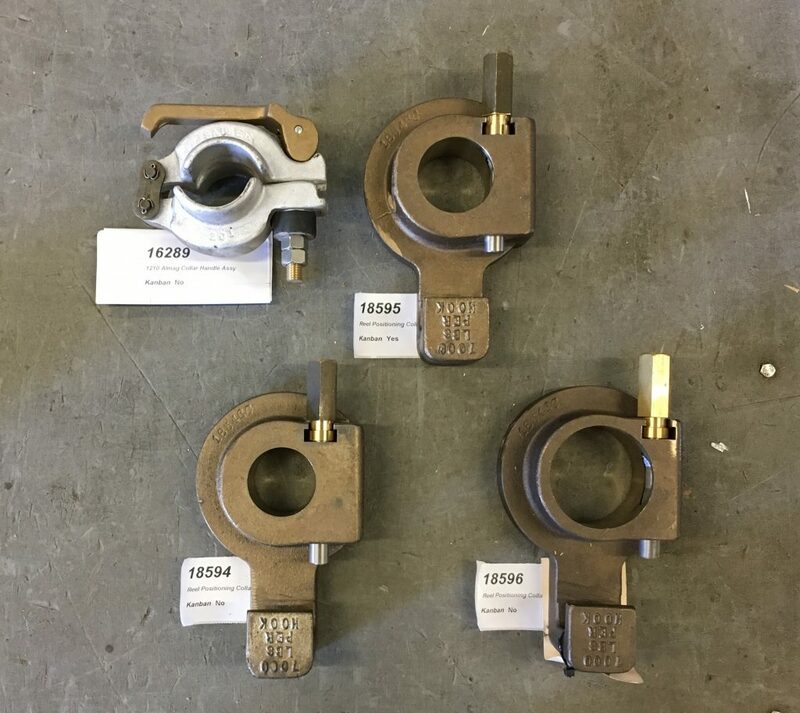 Positioning Collars & Sleeves - Sauber Mfg. Co.
Our aluminum bronze reel positioning collar and tapered cone provide a secure, concentric hold for your reels. Install the insert sleeve on the reel bar and insert it into the reel as far as possible. 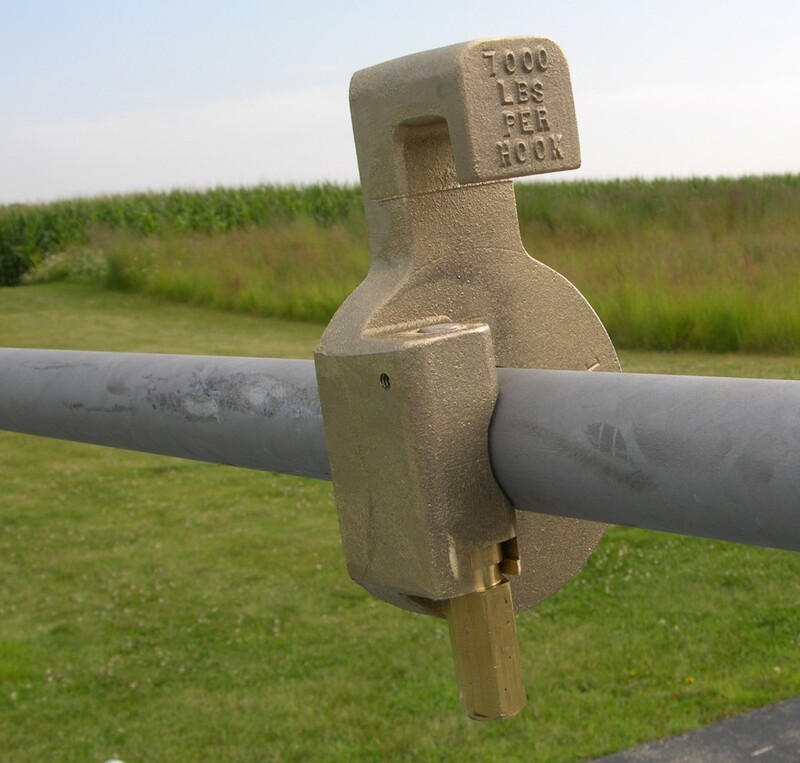 Install the reel positioning collar directly behind the sleeve flange and tighten the locking bolt to 50 ft-lbs. 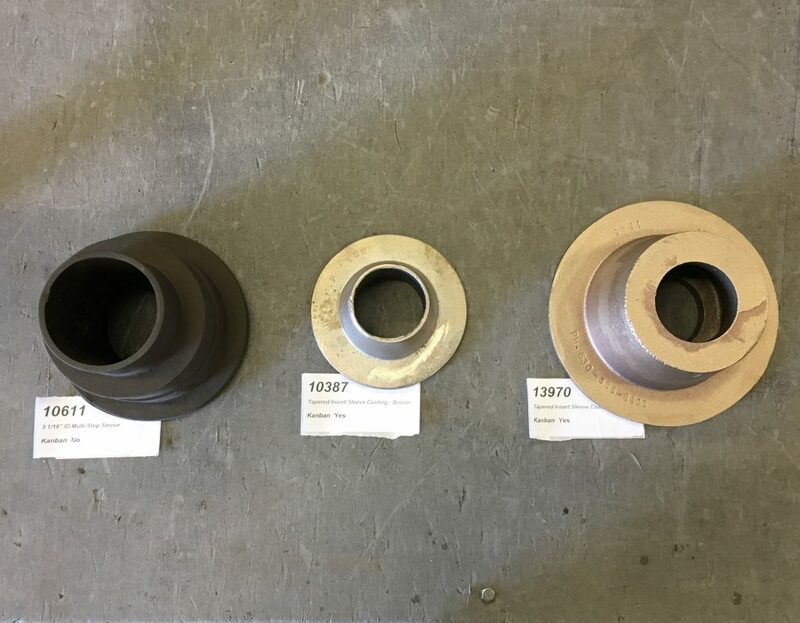 You can generally approximate this torque by hand tightening the nut and then applying on complete turn (360°) if a torque wrench is not available. Do not exceed the rated capacity of the lifting hooks. Provides positive clamping power to hold reels in place. Completely non-ferrous components ensure long life and rust-free operation. 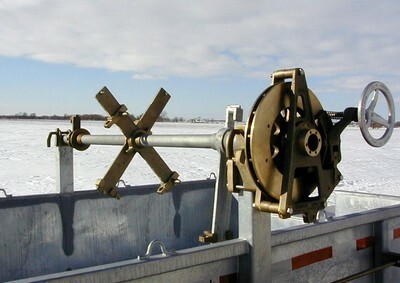 Lifting Hooks provide a convenient location to attach a sling to automatically center the reel load. Each hook has a capacity rating of 5000 lbs. Item 16289 does not require tools to remove or install. 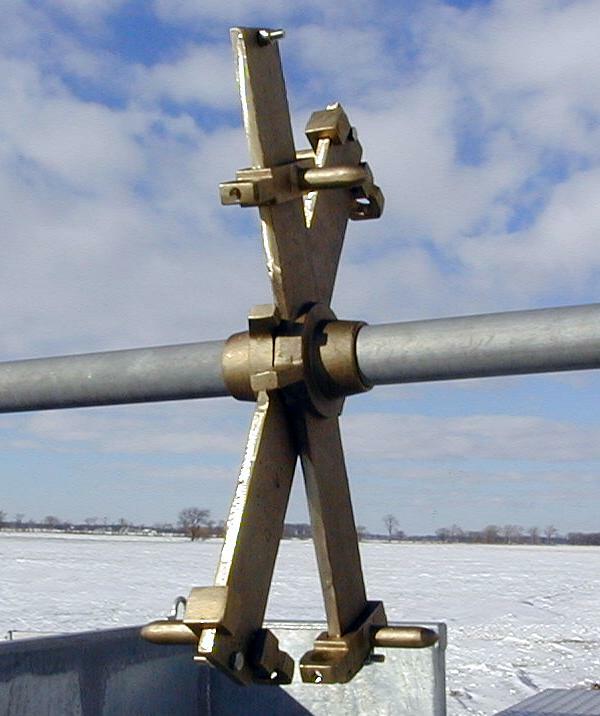 Model 8060 Spreader Bar (not shown) for payout while the reel is elevated by a load line. Bronze construction provides for smooth, concentric reel rotation. Stepped and tapered sleeves fit multiple size reel openings. 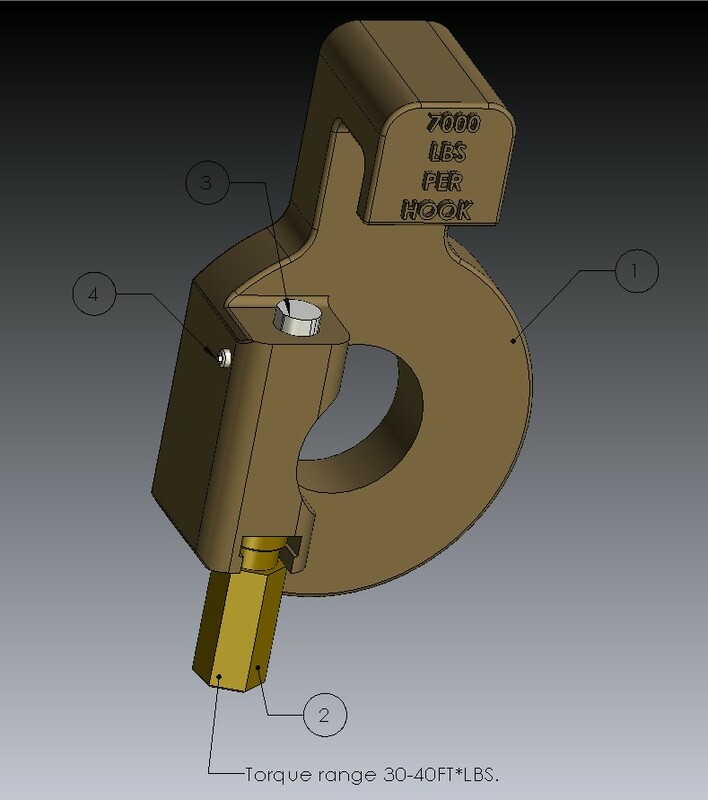 Flanged design prevents sleeve from sliding into reel cavity. The perfect complement to Sauber Positioning Collars. 18594 Bronze Reel Positioning Collar w/Hook - 2"
18595 Bronze Reel Positioning Collar w/Hook - 2.25"
18659 Bronze Reel Positioning Collar w/Hook - 2.5"
18720 Bronze Reel Positioning Collar w/Hook - 2.625"
18721 Bronze Reel Positioning Collar w/Hook - 2.75"
18596 Bronze Reel Positioning Collar w/Hook - 3"